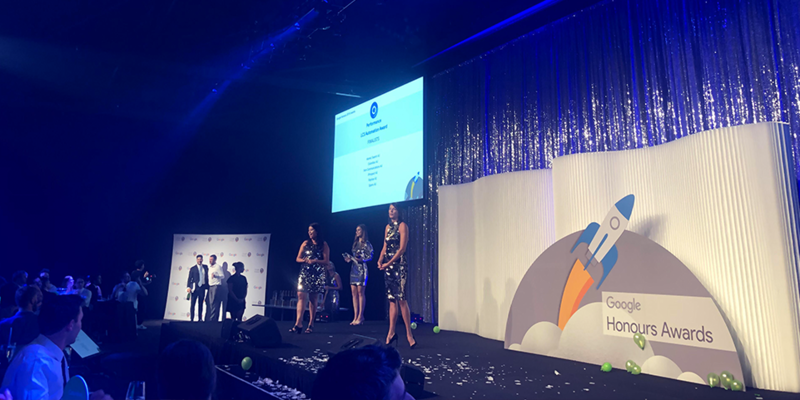 Web Profits, Australia’s largest independent digital growth consultancy, is proud to announce that Brendan Connaughton of its Acquisition Marketing team was named Superstar Of The Year at Google Performance Honours awards ceremony at their annual awards night in Melbourne. Google stated in their award for Brendan that it was "in recognition of demonstrating exceptional results in performance advertising and making significant contributions towards the execution of meaningful best practices in the industry". Brendan will be joining other winners from around the world on an international study tour at Google's headquarters in Mountain View, California. Google Performance Honours is a program designed to shine a spotlight on the campaigns that the top performance agencies and individuals across Australia & New Zealand execute. Web Profits is a digital growth consultancy that partners with clients to create digital dividends through cutting-edge creative and digital growth strategies.